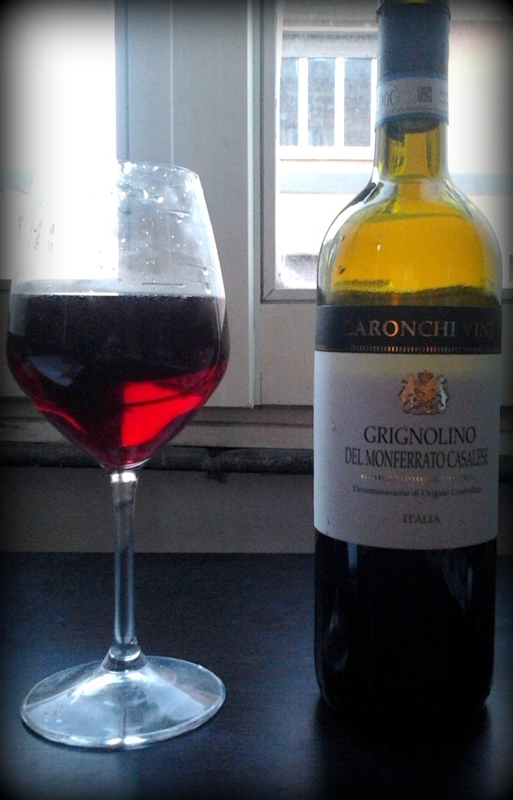 What on earth is “Grignolino“, you ask? It’s a somewhat unappreciated Italian black grape variety that has its home in Italy’s prominent Piedmont region, in the areas of Asti and Monferrato. It makes wines that are light, fruity, quaffable, and best drunk young. This is a great Italian wine alternative for fans of the wines of France’s Beaujolais area. Grape: Grignolino 100% or “in purezza” as they say in Italian. Aged: this was aged in oak for sure, though I couldn’t find any specifics on how long. My Tasting Notes: This palest of ruby wine packs a very bright juicy fruit flavor. The nose gives you strawberry, cherry, and definite wood notes. Drink a mouthful get some extremely bright strawberry, strawberry candies, sour cherry, and bubblegum elements riding on a highly acidic wave. Reminds me a lot of a young kirschy Beaujolais! The Verdict: If you like young, light and bright reds, this is a good grape to explore. This is an interesting wine especially when you consider its bigger bolder siblings nearby like Barolo, Barbaresco and Barbera. This is meant to be drunk young and I wouldn’t hang on to the bottle for too long because once that fruit fades there’s little left to enjoy here. Great for: fans of Gamay-based wines looking for a similar Italian version. Food Pairing Ideas: lighter meat or fish dishes like duck, roast chicken, tuna, veal, salmon, pasta dishes like aglio e olio (oil and garlic) and other lighter sauces, milder cheeses, truffles in any form, and this would be excellent with salads with vinaigrette dressings especially if there are any dried red berries in it too! This entry was posted in Grapes: Black, Red Wines, Tasty Notes and tagged Beaujolais, Gamay, Grignolino, Italian Wine, Italy, Monteferrato, Piedmont, red wine, Wine. Bookmark the permalink.